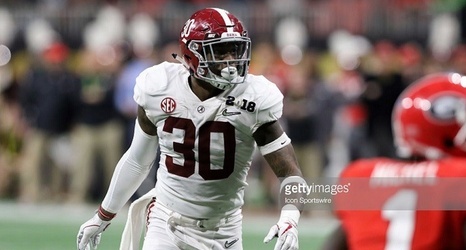 Alabama underclassman linebacker Mack Wilson is a another player we’ll likely be discussing quite a bit as a possible 2019 NFL Draft selection of the Pittsburgh Steelers for the next several weeks as he’s already been linked to the team in the first-round in a few of major media draftnik’s mock drafts. With our draft profile of Wilson already posted on the site, a few readers are still wanting to see more about the plays he made during his college career at Alabama. In an effort to provide you as much information as possible when it comes to several top players in the 2019 draft class, I am currently putting together as many contextualization posts as I can between now and the end of April and especially when it comes to players who the Steelers might select in the various rounds.